Learn more about basenjis, if they fit with your lifestyle & where to get one. A calendar of our meetings and club-hosted events with entry information. Pay for entry fees, membership dues, trophy sponsorships & merchandise. See the wide range of activities that our members do with their dogs. Our blog with updates on events and member activities. Learn what our club is about and how to become a member. Looking for a basenji? We can help you find basenji puppies and adults. 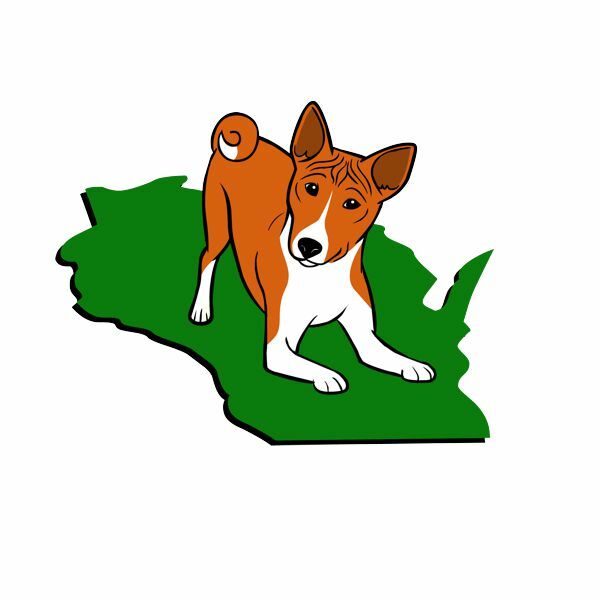 Basenji – A small, short haired hunting dog from Africa. It is short backed and lightly built, appearing high on the leg compared to its length. The wrinkled head is proudly carried on a well arched neck and the tail is set high and curled. Elegant and graceful, the whole demeanor is one of poise and inquiring alertness. The balanced structure and the smooth musculature enables it to move with ease and agility.